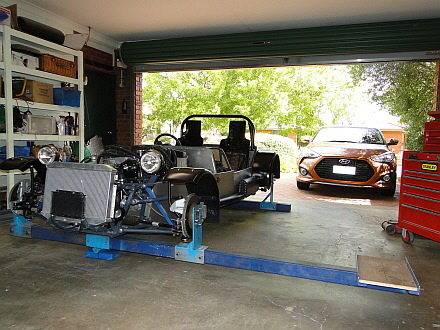 The story of my Locost clubman build is told in detailed photos accessed via the relevant Photo Album links on the left. 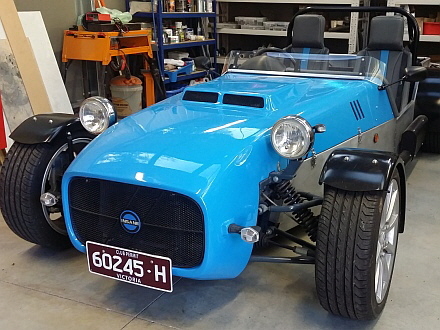 Major milestones of the Locost clubman build are featured below. Now on Club plates and with its final paint scheme and interior trim the clubman is ready to enjoy. Projects like this are never completely finished and more refinements will continue to be added over time. Locost clubman finally passed all engineering and legal requirements and proudly displaying full registration plates! Next phase was to finalise the paint and trim. How stinky is the exhaust? 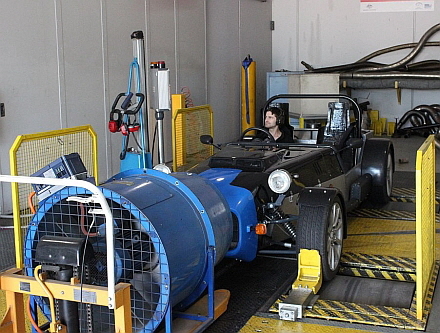 Emissions testing on the dyno at VIPAC was the last major hurdle prior to registration. Final engineering tests. 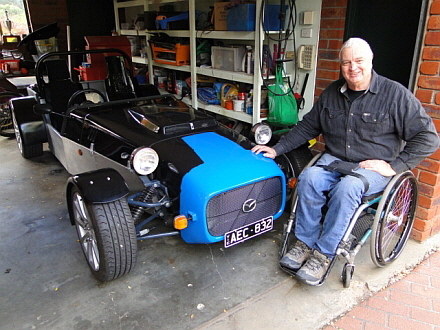 ADR compliance and Torsional testing of the chassis were carried out in my garage by my appointed automotive engineer. 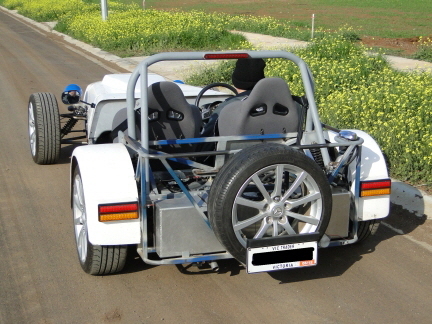 Specified weight was added to end of the beam to “twist” the chassis and results measured. Bodywork completed and a temporary paint scheme applied for registration. Final fit-out and detail work commenced. 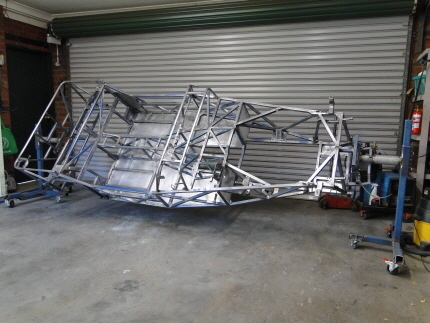 Detailed reassembly following chassis painting. Final refinishing and detailing underway. 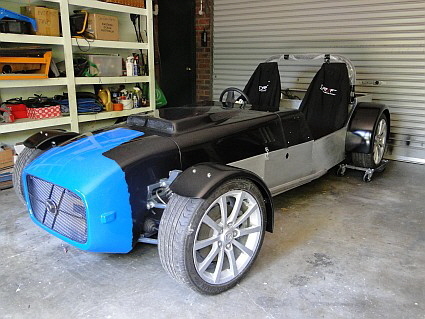 Aluminium rear panel and wiring completed. Bodywork and painting the next major undertaking. Completely dismantled and stripped to the bare metal. 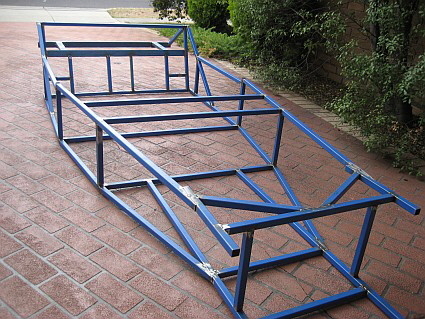 The chassis was placed on a rotisserie and painted in two pack ready for final assembly. Fitted trade plate to make it legal and went for first test drive on the road. Not painted, no aluminium rear panel and looking a bit scruffy but a thrilling and very quick ride. A few minor issues to be fixed but generally drove extremely well on its maiden voyage. Progress appeared slow to some but lots of detail work was taking place. Fibreglass bonnet and scuttle completed and aluminium panelling almost finalised. 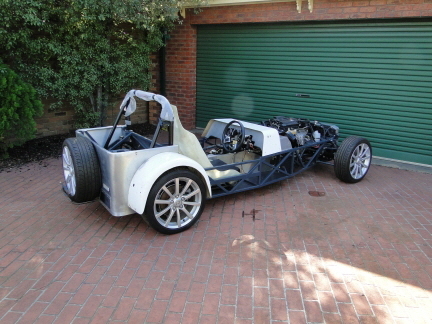 We have a rolling chassis! 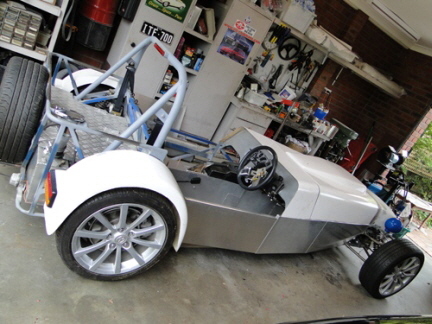 Major components in place and starting to look like a Locost sports car. 25mm mild steel tubing being crafted into a custom designed Locost chassis.